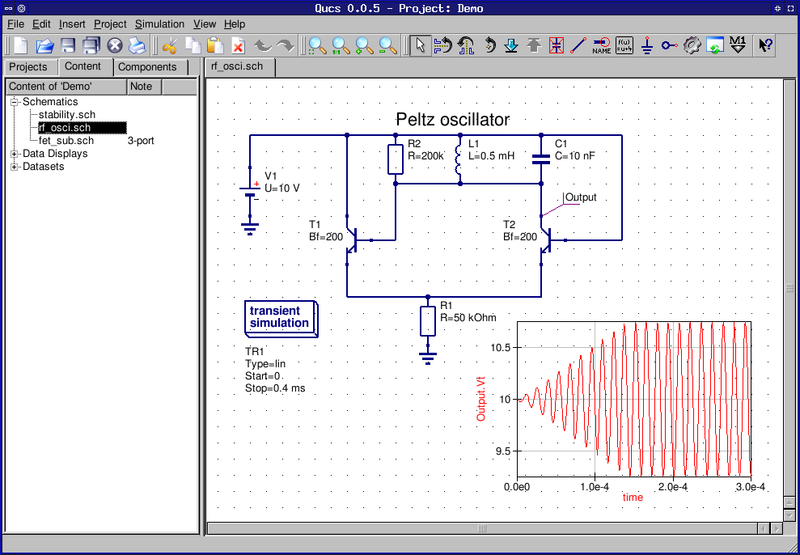 KTechlab is an opensource software which can very nicely simulate a circuit. You can drag-drop components to make a circuit and can also use it to program PIC microcontrollers. available components include normal lump circuit elements and also electronic ones like BJTs, FETs, LCDs, RAM, Serial/Parallel bus, Flip-Flops, op-amp, 555, logic-gates and many other useful ones. It can also plot the probe values as in an oscilloscope. So check it out if u wanna see some cool circuit simulation. From the site : " Qucs, briefly for Quite Universal Circuit Simulator, is a circuit simulator with graphical user interface (GUI). The software aims to support all kinds of circuit simulation types, e.g. DC, AC, S-parameter, Harmonic Balance analysis, noise analysis, etc." so i'll hav to wait till i find out what how when where why about blogging.